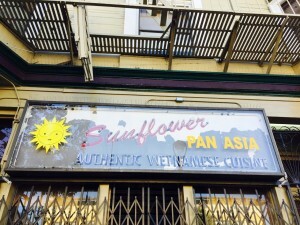 Signs of life at Sunflower? Sunflower has been closed since September leaving fans of the beloved Mission Vietnamese restaurant at 16th and Valencia streets to wonder whether it’s gone for good. 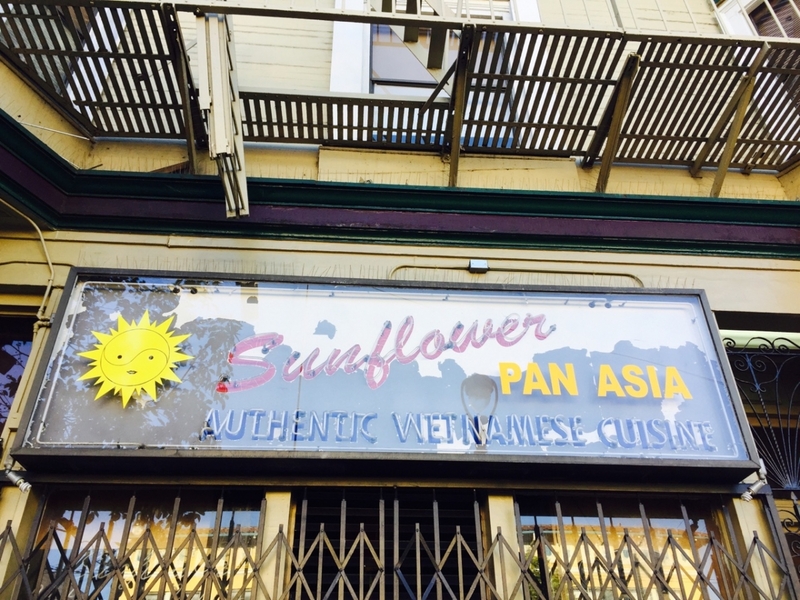 But check out the recent changes to the restaurant’s sign – note the new sun and ‘Pan Asia’ – which suggest something new could be happening with the space. 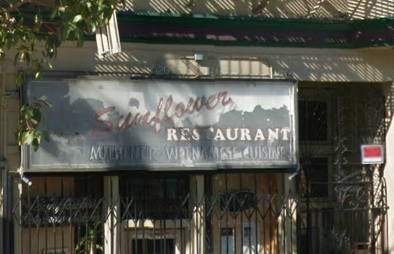 A couple of months ago, Sunflower removed the Mission location from its website, leaving only its restaurant in Potrero Hill. However, a check of the California Department of Alcoholic Beverage Control records this morning shows there has been no recent activity to transfer the restaurant’s beer and wine license for the Mission location to another owner.